Can you see a dentist while pregnant and during pregnancy? 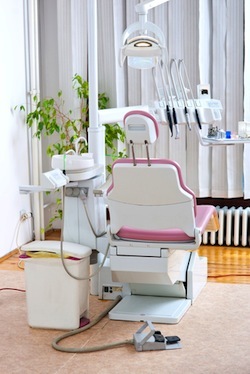 How about dental care when trying to conceive? There are many misconceptions when it comes to dental care and oral hygiene when pregnant. Where once oral hygiene and dental care focused on the solution to a painful problem, today lies a preventative health care reform. Dentists are more apt to try and prevent severe dental issues than ever before and this includes those during pregnancy and the pregnant population. During pregnancy, the body goes through a wealth of changes that can leave the gums tender with the possibility of bleeding after brushing. Due to the increase in blood in the female body and the hormonal changes, this small amount of blood on the toothbrush may very well be normal. But, there is little way to know if the bleeding is related to the pregnancy or a more serious dental problem such as periodontal disease or gingivitis unless a dental professional is visited. Pregnant women, usually around the 5th month, are completely able to visit the dentist for a checkup. During the visit to the dentist while pregnant, x-rays may be indicated and they are safe especially if you are shielded. Other than the normal oral checkup, the dentist may look carefully during pregnancy into the condition of the teeth. Morning sickness, lack of vitamin A and vitamin D and poor nutrition during pregnancy can all cause significant changes in oral health. Many dental professionals will suggest the use of antiseptic oral rinses to keep the teeth and gums healthy and strong during the pregnancy. The best preventative dental care during pregnancy starts at home with regular brushing and flossing. If there is a need for emergency dental care during the pregnancy, the dental service provider will often call your obstetrician to get clearance for any procedures that need to take place. If the dentist does not contact the obstetrician, make sure to obtain a copy of the dental care plan and talk over the options with your obstetrician. With the use of numbing creams and local anesthetics, emergency care can be performed on the teeth even during pregnancy. It is very important that the dental care providers understand that you are pregnant. X-rays performed during pregnancy are usually safe especially if you are shielded. Dental care during pregnancy and seeing a dentist while pregnant is not only normal but important for the health of mom. At the time of your dental visit, make sure to advise the nurse and doctor of the number of weeks you are into the pregnancy. If there are concerns about dental health, be sure to ask your dental professional at the time of the visit and correlate your dental care with your obstetrician.